Our experienced professionals have been purchasing fine jewelry and old gold since 2011. 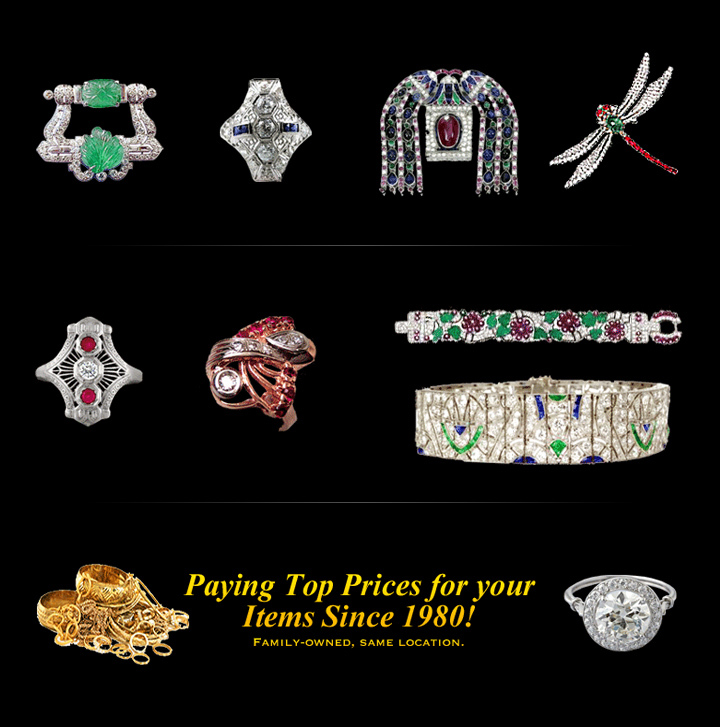 Our experienced buyers are familiar with and recognize fine Modern & Antique Jewelry, Signed pieces, Estate items, High Grade Watches & Larger Diamonds. We strive to pay the most for your valuables as well as for your Used & Old Gold. VIP Pawn Shop is the place to sell your jewelry in US. There are many places to sell your jewelry, but we can guarantee Moyer Fine Jewelers is the first place you’ll want to stop. Established in the country for 7 years, the VIP Pawn Shop name is synonymous with quality, designer jewelry and exceptional customer service. In addition to building strong relationships with our customers, we also have cultivated a longstanding, trustworthy relationship with gold and diamond buyers. They look to us for quality precious metals and gemstones; 14k gold, platinum, white gold, including parts and findings, as well as diamonds and precious gemstones. We are able to receive top dollar figures on our gold and diamond buys, due to our volume, our history, and our stellar reputation. Even though we have a wonderful relationship with our diamond and gold buyer, we are also able to display and sell estate and resale items within our flagship jewelry store. Many of our regular customers appreciate a unique jewelry piece or a rarely discounted designer piece offered as a resale. Many times, we are able to clean, repair, and upgrade a resale piece, and then display it in our estate jewelry section. This option allows us to offer the best purchase price to you.